Take the controls or just enjoy the ride! Experience the Czech-made Soviet pilot-maker! Generations of Soviet fighter pilots trained for air combat in the jet trainer and ground attack aircraft. Fly an L-29 Over Canada! Strap into the cockpit of a legendary jet warbird for the ride of your life! No pilot's license required! A flight in the L-29 Delfin is an incredible adventure for both pilots and non-pilots. Choose the flight option that is best for you! 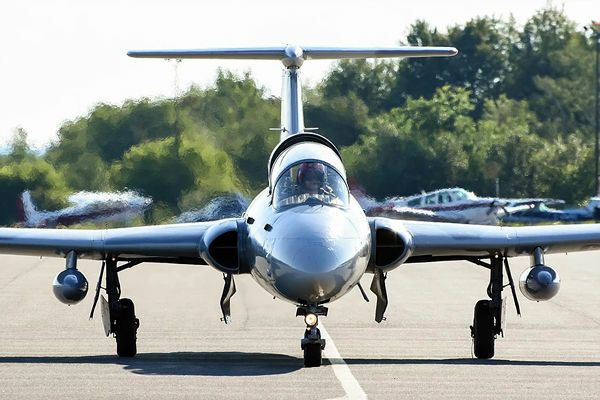 We offer introductory flights, formation flying and advanced pilot training. Star in your own Top Gun fantasy! Do I need to be a pilot to fly an L-29 in Canada? No. 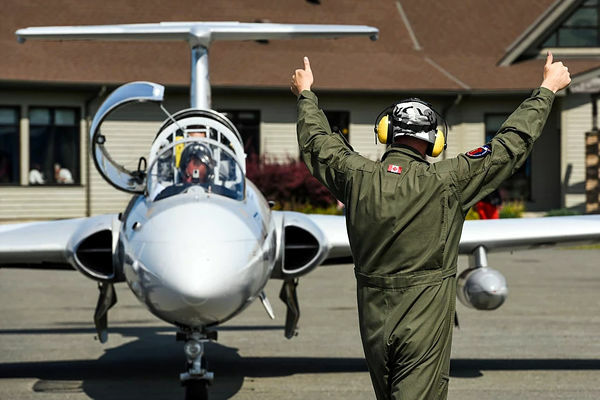 In Canada, we can legally offer everything from fun fighter jet rides for non-pilots, to complete L-29 flight training for licensed pilots. Flights operate under Transport Canada’s Warbird Exemption. Yes. The maximum approved height and weight for the L-29 is 6’3” and 250 lbs. These physical restrictions are non-negotiable and are based on cockpit size and safety equipment specifications. (If you are taller or heavier, let us know. We may be able to suggest an alternate aircraft for you.) You will be required to sign a release of liability, and certify that you are in reasonably good health. We strongly suggest you check with your doctor prior to flying. In addition, all participants are required to pass a ground- briefing on the L-29 Delfin that includes emergency egress training, and verbal testing, before being cleared to fly. How long will my L-29 flight last? We offer a choice of flight times, which are measured from engine start up, to engine shutdown. We recommend our 45-minute flight for most flyers, but also offer 30 and 60 minute flights. 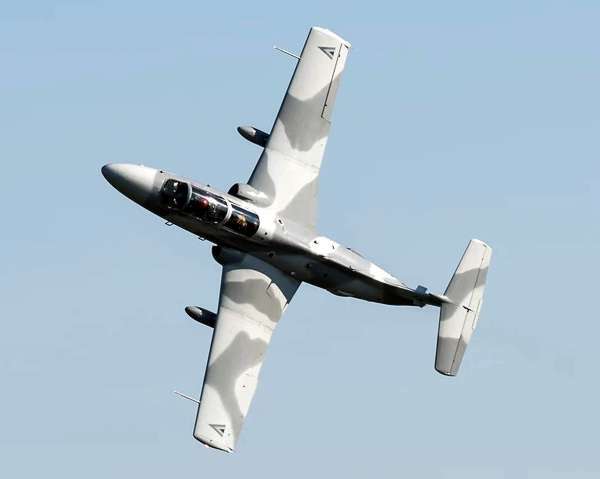 Where are the L-29 flights offered? Our L-29 flying adventures are based in Ottawa, the capital of Canada. Ottawa is a beautiful city with a rich air and space history and is home to the Canada Aviation and Space Museum. L-29 Flights can also be arranged in Toronto and Montreal. Can I fly an L-29 with a friend? Yes! You can take turns flying in the same aircraft, or you can purchase our Formation Flight Option and take to the sky together. What is the Formation Flight Option? 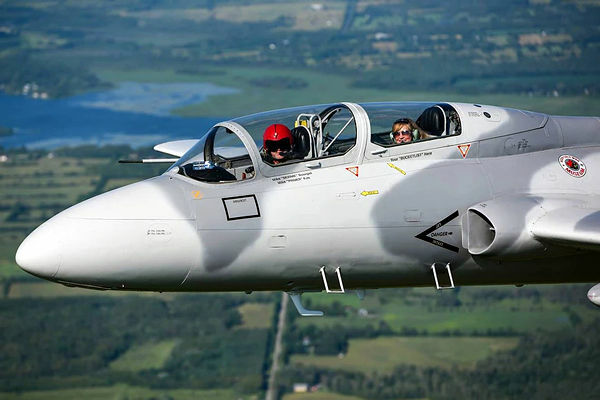 We can arrange for a second L-29 to fly a friend or family member, so the two of you can be in the sky together, performing formation flight and simulated air combat. What should I expect on flight day? You should plan to arrive about 45 minutes prior to your scheduled flight time. This gives you time to take pictures and sign pre-flight paperwork, before starting your program. Your fighter jet experience officially begins with a pre-flight briefing with your pilot. You’ll learn about the pre-flight process, including how to check weight and balance and calculate the flight profile. Together with your pilot, you’ll decide the type of flight you’d like to experience. Flights can be full of high-g aerobatic maneuvers, or nice and easy. Once you have settled on a plan, you’ll be briefed on the aircraft’s safety systems. Your flight will take place in a designated flight zone, at an altitude below 10,000 feet. Flight time is measured from engine start to engine shutdown. Will I get video of my L-29 flight? Raw, unedited video is available for an additional cost. For safety reasons, you will not be allowed to take your own camera or cell phone up in the air with you. What should I wear for my flight? We recommend comfortable clothes, appropriate for the weather. We’ll offer you a flight suit to wear over your clothes. Most of our clients wear jeans or casual pants and a t-shirt. You can wear almost anything, as long as you wear the right shoes. For safety reasons, you must wear sturdy, flat-soled shoes or boots, which will stay securely on your feet. (Athletic shoes are fine, but black boots look more “Top Gun” in photos.) If you show up in sandals or high heels, you will not be permitted to fly. If you have any questions about what is appropriate, please call us. Can I arrange L-29 jet fighter flights for a group? Yes! Ask about our special corporate flying and team-building programs. The Aero L-29 Delfin was the Czech’s first locally designed and built aircraft. More than 3000 of the military jet trainers were built. The L-29 has been used in active combat and is known for its durability and ease of handling. Many were supplied to the Soviet Air Force and used to train Russian fighter pilots. Today, the L-29 is popular with air racers.